On his annual Isle of Wight holidays Mark Bibby Jackson takes a step back in history, as well as visiting a few familiar haunts. The Isle of Wight has always held a soft spot in my heart, ever since I encountered real dinosaurs there as a young child, shortly before feeling extremely sick after an excess of Knickerbocker Glory, while Donny Osmond was falling in Puppy Love. Each year, I return to the island to spend a few days at my uncle’s house, for there is something about the relaxed and welcoming life on the island that is quite irresistible. That and the great food and walking. Despite the numerous rambling options around the island, I have a clear favourite. Tennyson Down is so called because it is where the Victorian poet chose to take his daily perambulation dressed in his famous cloak and hat. 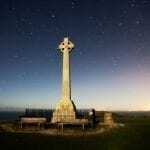 A memorial to the former Poet Laureate stands at a high point on the downs, on the long stretch to the Needles. On a clear day, the skies merge into the sea, and the cliffs of Dorset dazzle white in the distance. 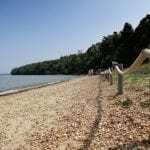 I set off from the beach at Totland Bay, which is one of the cleanest in the country and ideal for an early morning or late evening dip, and then climb up the path to Headon Warren. This was always my aunt’s favourite spot on the island, and I have to agree with her. 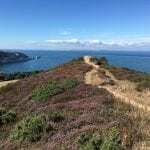 While Tennyson (or High) Down is a verdant green, Headon Warren is a natural wilderness which explodes into the most glorious purple in the summer, and has far better views down to the Needles. Passing the bronze age burial mound and the remains of Heatherwood Battery, built in the 1860s, presumably to keep the folk of Dorset out, it’s a relatively easy walk to the Needles, passing Alum Bay along the way. 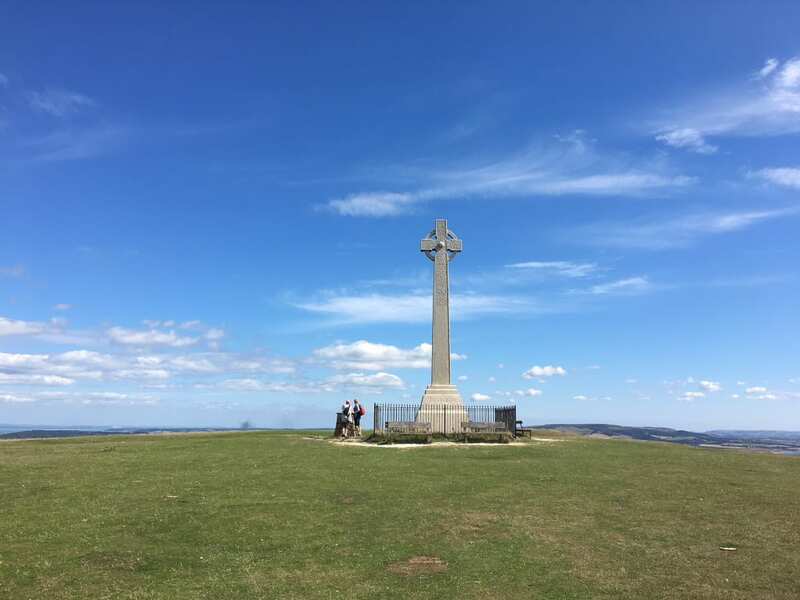 If you wish to avoid the crowds visiting the Old Battery and the steep hill, there is an alternative footpath that leads to the Tennyson Memorial, from which you can see the white cliffs at Freshwater Bay. When feeling particularly energetic, I sometimes continue my walk through the town of Freshwater along the river Yar and the estuary passing pleasant woods to Yarmouth, possibly stopping off at the Red Lion for a much needed pint. Until now I have never delved into the island’s rich history on my Isle of Wight holidays, however, today I have a meeting with the past. Situated on the outskirts of Freshwater, The Farringford was the home of Alfred Lord Tennyson from 1853 to his death in 1892. Built in 1802, its gothic style clearly appealed to his poetic spirit. 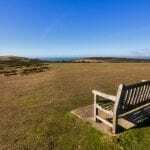 Tennyson’s wife Emily used to sit here enjoying the views while Alfred composed his poems, when not walking the downs or popping in on his friend, the photographer Julia Margaret Cameron. Apparently, he used to run back well into his eighties. It is also where my grandparents celebrated their seventieth wedding anniversary. 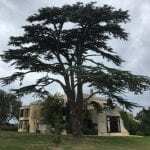 Reopened in August 2017, I was most intrigued to discover what the new owners had done with the house, and whether the structure had recovered from my unbridled dancing. 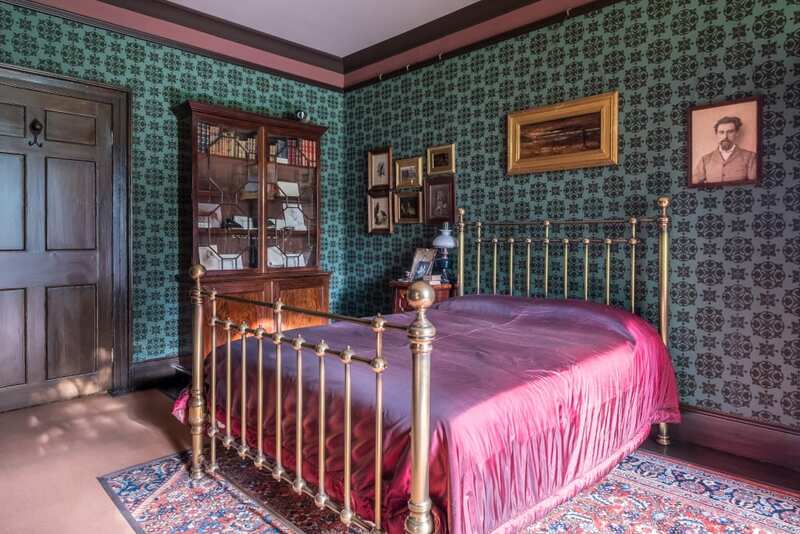 Recreated in the style of a Victorian home with an exact attention to detail, particularly in the choice of wallpaper and furnishings, The Farringford is littered with artefacts from Tennyson’s time supplemented with pieces sourced from antique shops. From the drawing room you can see the views that Emily enjoyed so much, perhaps wondering why Alfred was taking so long. You really get a sense of how well-to-do Victorian families lived. 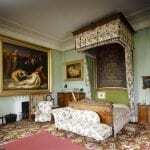 The final room on the tour is Tennyson’s Library, which contains a recording of Tennyson reading The Charge of the Light Brigade from 1890, when he was 81. Edison sent Tennyson a phonograph especially for the event. It is amazing to listen to the recording in the very room where it was made. Conveniently close to the Farringford is Dimbola Lodge. The main building dates to 1840, with an extension built by Julia Margaret Cameron. A pioneer in photography, she established the Freshwater Circle, an artistic set that entertained the likes of Darwin, Thackeray, Lewis Carroll and Tennyson, here. Cameron and Tennyson were neighbours for 15 years, and their growing intimacy allowed her to take informal photographs of both the poet and his family. 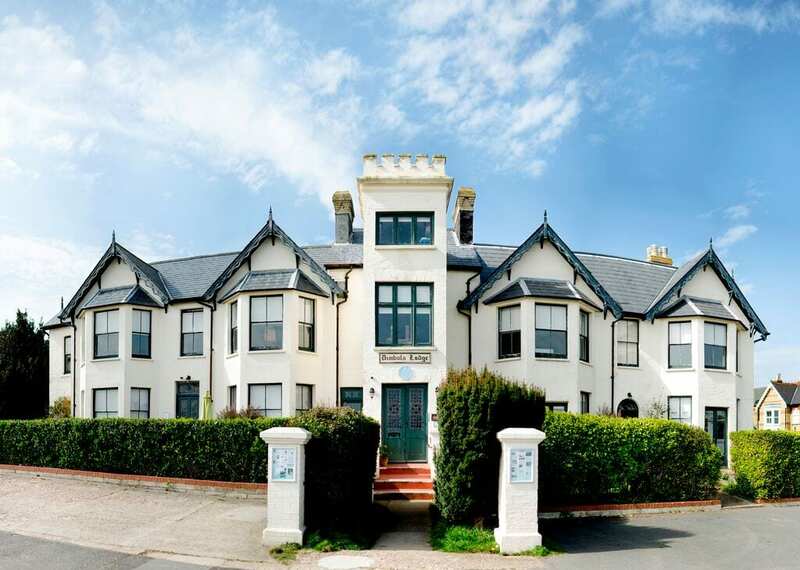 Now owned by the Julia Margaret Cameron Trust, Dimbola was reopened as a museum in 1994 and celebrates its 25th anniversary in 2019. It contains an interesting display of Cameron’s photographs as well as a permanent exhibition on the Isle of Wight Festival Exhibition, in addition to other temporary exhibitions, and tea rooms. It wasn’t just Tennyson who found the lure of the Isle irresistible. Queen Victoria bought the land on which Osborne House is built in 1845. The idea was to create a home to escape court life in London and Windsor. 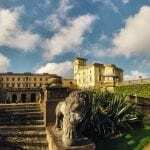 Completed in 1851, Osborne reflects the Italian design with classical statues, Venetian windows, ornate corridors and wonderful terraced gardens. 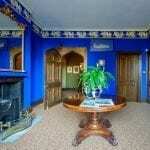 Particularly striking is the ornate gold drawing room. It is said that after Prince Albert’s death in 1861, Victoria found solace at Osborne. Indeed, it is here that she died in 1901. 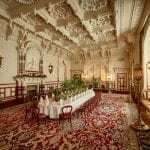 However, despite her consort’s strong influence upon Osborne’s design, it is the Durbar Wing, built from 1890-1 that is perhaps the most striking section of the house. Although Victoria became Empress of India in 1877, she never visited the country. Designed by Bai Ram Singh, the Durbar Room is in the style of an Indian Maharajah’s palace with its distinct white plaster work and teak wood. The magnificent white peacock that took more than 500 hours to create and which hangs over the fireplace is the room’s stand-out feature. At the end of the Durbar Wing a path leads down from the terraced gardens to Osborne Beach, where Victoria’s numerous children used to play. A beach pavilion, built after the queen’s death, has been converted into a pleasant café with deck chairs to enjoy the view of the mainland. Victoria’s bathing machine, used to preserve Her Majesty’s modesty while she took to the waters, stands next to the café. Apparently, it was used as a chicken shed after her death. Not all monarchs have taken to the Isle of Wight as much as Victoria. Charles I was held in Carisbroke Castle between 1647-8 prior to his removal to the Tower of London and subsequent execution. 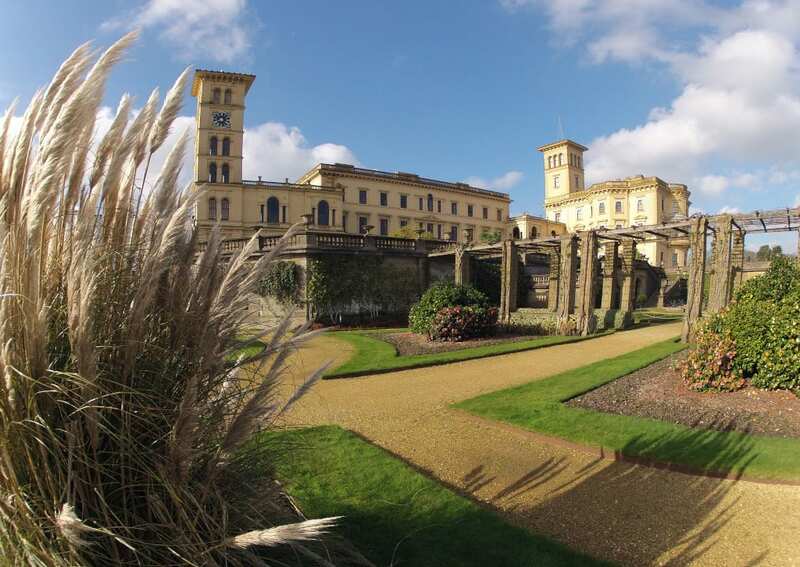 Like Osborne House, the castle is run by English Heritage and open to the public. Built around 1100, with its defences improved by Sir George Carey in the 1580s, Carisbroke is well-preserved. 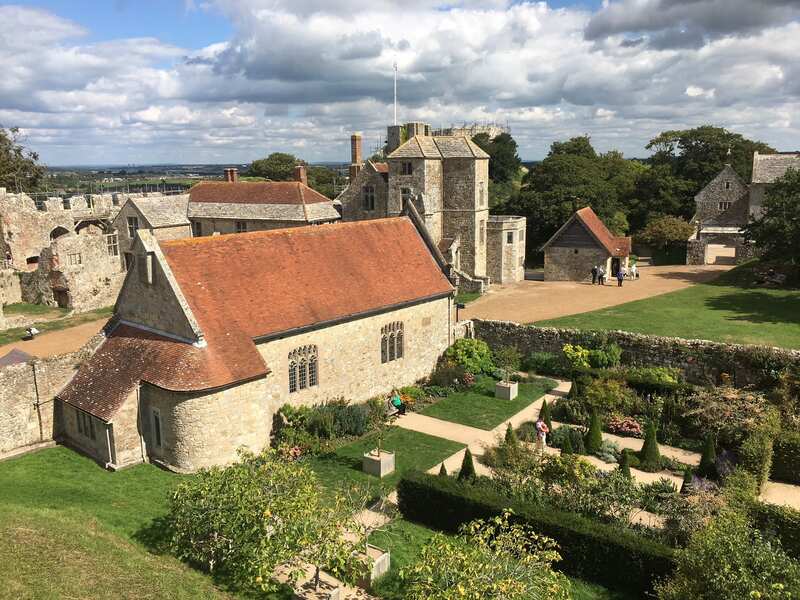 It still has the original keep with great views across the island, and though the “curtain” wall is currently being restored, you can still walk around it to get a full 360-degree feel of the surrounding landscape. Carisbrooke’s key attraction are the donkeys that draw water from the well in the courtyard, as they have since the 17th Century. In their latter years they retire to a donkey sanctuary in Sidmouth, Devon. The castle also has very pleasant gardens named after Princess Beatrice, the youngest daughter of Victoria, who also established in the great hall, what is apparently the only museum created by a member of a royal family. 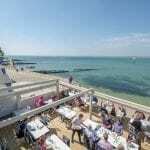 Above all, what makes West Wight stand out is the quality of its food. Although the Isle of Wight is famous for its garlic, with its annual Garlic Festival held each August, it is in seafood that it excels. Situated on the promenade at Colwell Bay, The Hut has been setting the standard for the rest of the island to follow since it opened a few years ago. Simple and stylish, here you can enjoy great, fresh seafood while watching the dinghies ferrying sailors back to their yachts. 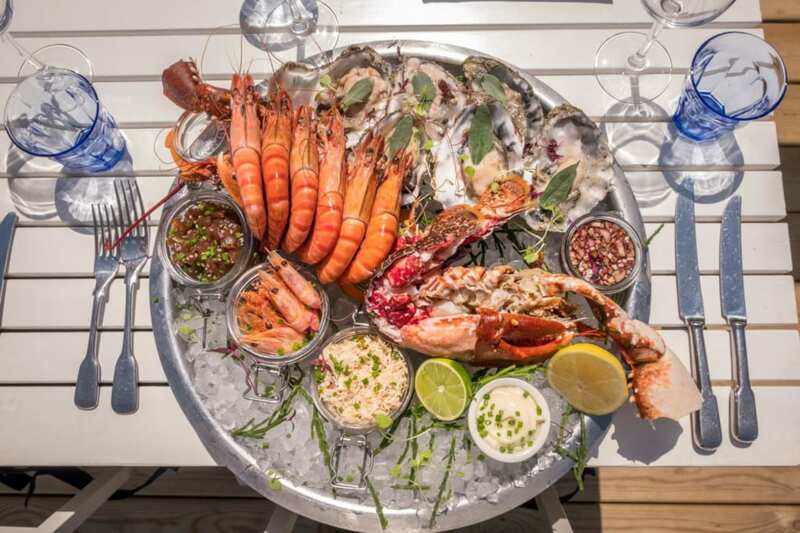 On this visit, the lobster had sold out, so we had to suffice with an assiette de fruits de mer sans hommard, which had the twin benefits of freshness and affordability. As always, I started with the tuna tartar, and this time had a whole sea bream to follow, in neither of which was I disappointed. As for pubs, in addition to the Red Lion, the Bugle in Yarmouth and the Highdown Inn in Totland are well worth a visit. The latter especially on a Sunday evening when the pub quiz is in full flow. 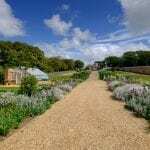 While the Buddle Smuggler’s Inn in Niton, has lovely gardens with probably the best views of any pub on the island. Our annual Isle of Wight holidays almost concluded, we only have one more stop to make. Saltys is situated just next to the harbour in Yarmouth. I once spent a New Year’s Eve standing on the streets outside it watching the chaos unfold within. I have never returned since. During the day Saltys adopts an air of respectability selling lobsters you need to take out a second mortgage to afford. However, the fish and chips are gargantuan and both the crab and sea bass come recommended. Suitably refreshed, I return to the car parked in the queue for the ferry back to Lymington, ready to resume normal life back on the mainland. I will return, as always, next year. The drive down from London, once you have left the twin perils of the M25 and M3, is wonderful, especially if you take the road across the New Forest with its wonderful ponies through Beaulieu to Lymington and its delightful harbour. From here you take the ferry to Yarmouth in West Wight to commence your Isle of Wight holidays. 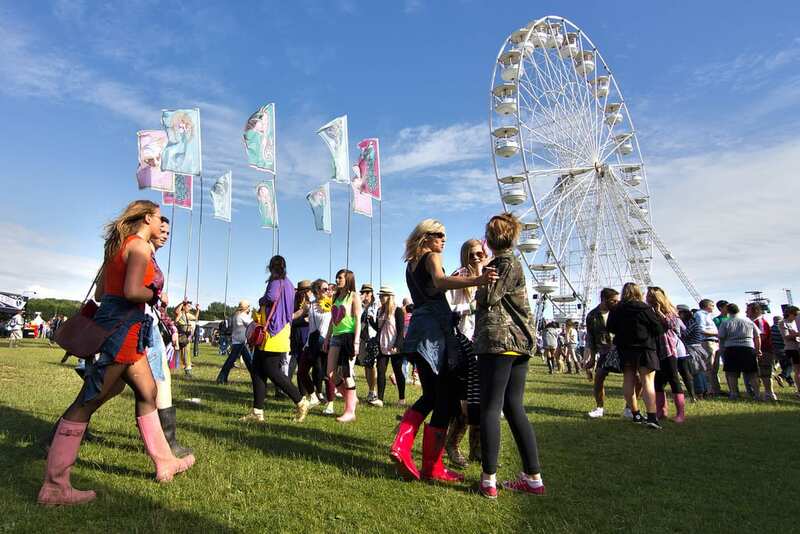 Held in June each year and a must if your Isle of Wight holidays coincide, the Isle of Wight Festival is one of the leading music festivals in the UK. 2018 marked the 50th anniversary of the original Isle of Wight Festival when Marc Bolan and T Rex appeared. The 2019 edition will be from 13 to 16 June. Click here, for our preview of the 2018 Festival, and updates on 2019. The Isle of Wight Festival is not the only show in town. The leading yachting regatta in the UK, Cowes week is held in August each year, while the Ventnor Fringe sees street performers and emerging artists appear from around the country . 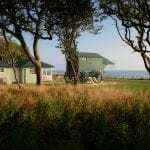 For a more literary note, head for the Isle of Wight Literary Festival in October. Unfortunately, my uncle’s house is not large enough to put all of you up for a week, so if you are looking for accommodation, then please book it through our hotels’ booking portal. It will cost you nothing extra, but the small commission we take helps in the running of this website. Typical of any island, weather is unpredictable on the Isle of Wight, so before you set off on your Isle of Wight holidays we suggest you take a look at the forecast. Click here for the current weather on the island. The Farringford peaking out from behind the tree. 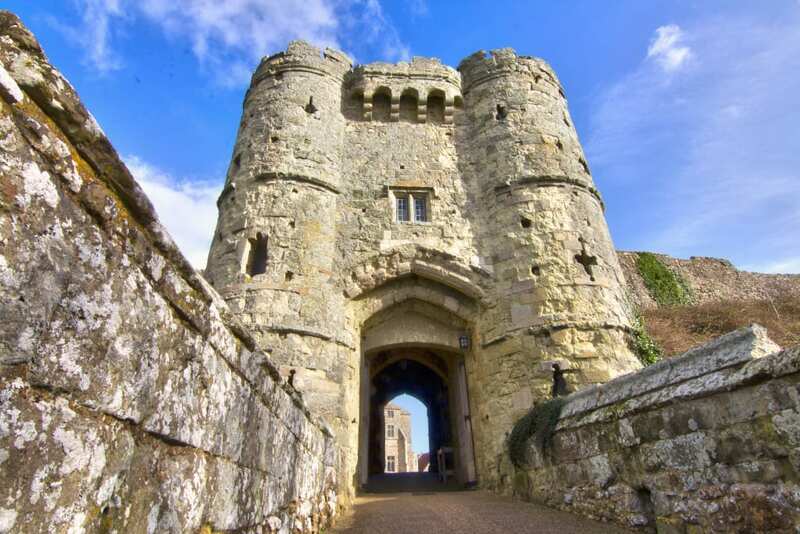 If all the above is insufficient to make you take the ferry to the Isle of Wight, then you can always visit the award-winning official Isle of Wight tourism website for further inspiration. Also, please note that the Hut is currently closed for the winter.